To draw eyes, first make on oval. Then make an oval right next to that one. If you want them to overlap, first make an oval, then make a backward "C" attached to that. 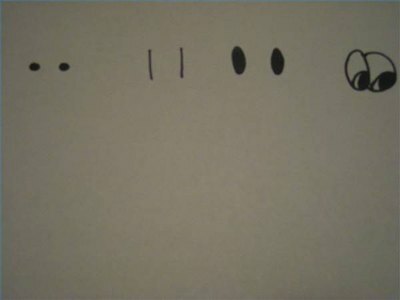 After you have done that, fill in the bottom third of the oval to make the pupils of the eyes. Draw a nose on your smiley face. Some smiley faces do not have noses. For a simple nose, you can make a dot, or a straight line. 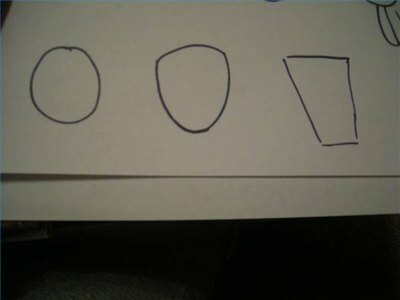 You could also draw two sides of a triangle, or even a "u." Pictured are several types of noses you could draw. Remember, if you do a side-view nose, don't forget to draw the nostril. Don't forget to draw the mouth. For the smile, you can draw a "u" shape. You can even add a tongue coming out of the mouth. If you want your smiley to appear to be talking, draw an "o" instead. Pictured are four types of smiles. 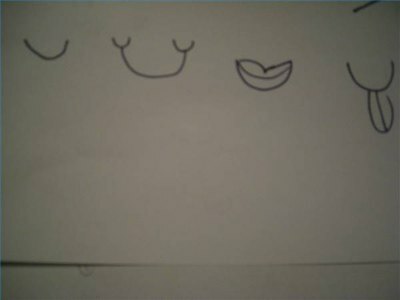 The second one from the left has been drawn with dimples. To do this, just draw two tiny "u's" onto the bigger "u" that you have drawn. 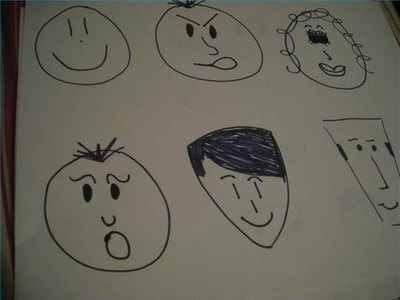 To draw hair, on top of the head, you can draw a "V" if you want your smiley to appear to have a little hair. If you'd like curly hair, then draw spirals around the shape of the head. Pictured are three types of hair. The one on the far right only has hair on the sides of his head. The top is bald.